A new mobile app called cab:app aims to revolutionise the way Londoners find black cabs by creating a kind of electronic hailing system. Users simply log into the app and hail a cab from wherever they are, even if they’re still at home, at work or in a bar or restaurant. You also get all of the details about the cab driver once the job has been accepted too, so you know there’s no chance of you getting into a random car AND you can ask for any extra requirements when you first hail, like wheelchair access. The app seems like a brilliant idea, not only is it going to keep Londoners safer but it’ll stop them getting cold and irritated too. We just hope enough cabbies are putting it to good use, after all it’s not going to be as effective if only 10 across the capital are using it! 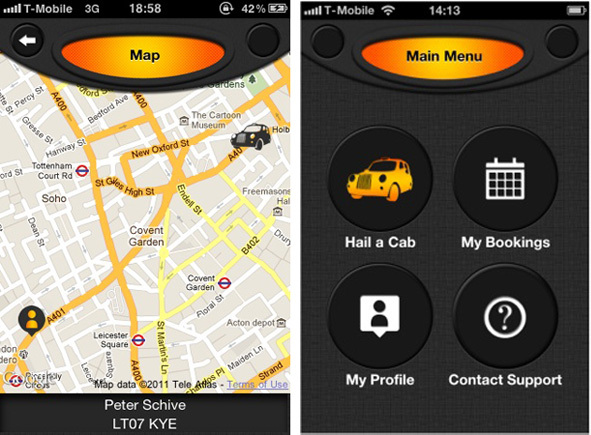 Available for most smart phones from the cab:app website for Free.